Escaping to the Hamptons with friends after a bad breakup, awkward 20-something Ruth (Lindsay Burdge, CUFF 2015 Selection THE MIDNIGHT SWIM) finds an unexpected connection with Michael, a stranger who shows up in her room one boozy night. There’s only one problem: Michael is a ghost, and a one night stand with him leaves Ruth with aftereffects that can only be described as supernatural. As she suffers through mucous-laden night sweats, glitchy hallucinations, and the occasional tar-black ooze, Ruth must figure out for herself if she can reintegrate into society – or if she even wants to. 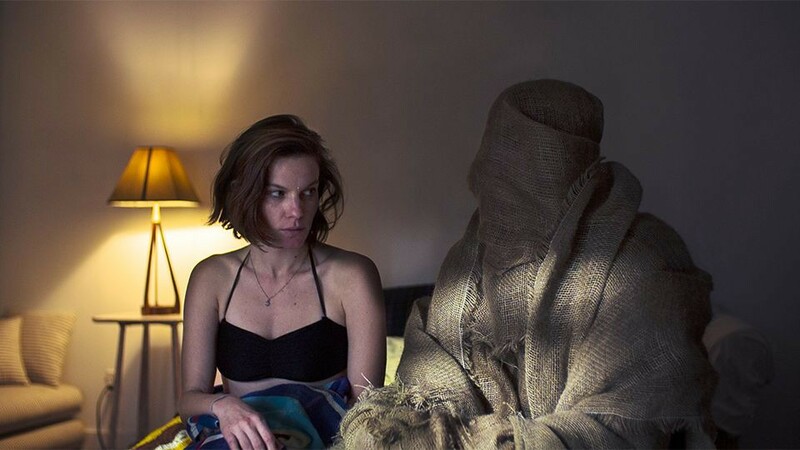 Co-produced by Joe Swanberg (DRINKING BUDDIES, HAPPY CHRISTMAS), first time director Harrison Atkins combines dark, dread-inducing horror with cerebral relationship-based talking to create a unique mumblecore horror comedy-drama. Harrison Atkins was born in Santa Fe and is currently based in Brooklyn. His shorts include CHOCOLATE HEART and BLISSFUL BANQUET. LACE CRATER is his feature debut. "[A] quirky tale of paranormal contact. " "With a debut this memorable ... Atkins will be one to watch." Director Harrison Atkins in attendance!